The Bible itself doesn’t use the word “Trinity”, but does mention the Father, Jesus Christ and the Holy Spirit in various places. A minority of Christians have alternative ideas about the Godhead – seeing the Holy Spirit as a power rather than “person” and/or Jesus as not being divine, but created or just a special human. The question regarding the nature of Jesus Christ was a great controversy and often a fierce politicised debate raging in all seven of the early Christian ecumenical councils for centuries (from the first Nicene Council in 351 to the second Nicene Council in 787). In 451 at Chalcedon, it was decided that Jesus was both God and man. This became the official creedal teaching and belief – though by no means settled or universally accepted. The Trinity doctrine, of equally dubious origin, stems from the same time and circumstances. 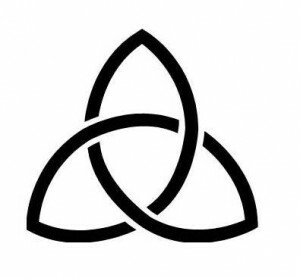 For well-documented information on this subject in greater detail, see http://www.ucg.org/booklet/god-trinity/surprising-origins-trinity-doctrine/. So it is clear that Jesus’ divinity or the doctrine of the Trinity were not part of Jesus’ original teachings but arose much – centuries – later as a result of conflicts among Christian philosophers and groups that needed settling for political reasons. Below, in a nutshell, is an alternative view, found in New Testament Revelations of Jesus Christ of Nazareth which makes much more sense to me and rings true. The Bible, both Old and New Testament, states that there is only One God, the Father (Mal. 2:10; Rom. 3:30; 1 Cor. 8:6; Eph. 4:6; 1 Tim 2:5; Jas. 2:19). These passages do not equate Jesus with God, as the Trinity doctrine does. God the Father is Love and from Him emanates the Spirit of love, kindness, joy, and peace. This is also the creative spirit, instrumental in bringing about what exists, transforming it, letting it disintegrate and creating new things. It is ubiquitous and is the Spirit that hovered over the yet barren earth in the book of Genesis. It may be what scientists and spiritual writers refer to as the mind / force / matrix beyond matter, which gives rise to all that is. In it we (and all else) live and move and have our being (Acts 17:27-28). Jesus Christ was born as all other humans from two human parents. However, he had in his soul the Divine Love from the Father, imparted by the Holy Spirit (an aspect of the creative Spirit of God). The Divine Love transforms the soul from merely being in divine image to becoming of divine substance. Jesus taught that the Divine Love has again become available from the Father for the asking through fervent prayer. (It had been withdrawn when humanity rebelled against God). Jesus’ life exemplified the Divine Love in action. He died on the cross, but this didn’t pay for humanity’s sins or appease an angry God. (The Father is not a God of wrath, but of love.) Belief in Jesus or his vicarious death for us does not save us or provide forgiveness for our sins. Rather it is his life and teachings about the availability of the Divine Love that are the Way, the Truth and the Life. Jesus brought immortality to light by showing humans the way to soul transformation, at-onement with the Father, and the resultant consciousness of having received immortality. Death is not the end, but rather a transition from the physical world into the spirit world, which encompasses several regions or spheres. One’s abode in the spirit world is determined by their soul condition upon death. However, as their souls are purified, spirits progress to higher spheres with increasing happiness. The highest realms are the Celestial Heavens available only to spirits who have received the Divine Love, had their souls transformed into divine essence, and are conscious of their possession of immortality. Spirits in the higher realms try to help spirits in the lower realms to have their souls purified and progress to abodes of ever greater joy. See also Nature of God on this website.